Apologies in advance if the bejewelled bee headband makes you want to buy a – er – bejewelled bee headband; it’s a silly, frivolous little accessory but one I couldn’t resist. It makes me look as though I’m trying to pass as a primary school pupil but I care not a jot – you know some things just make you feel irrationally happy? 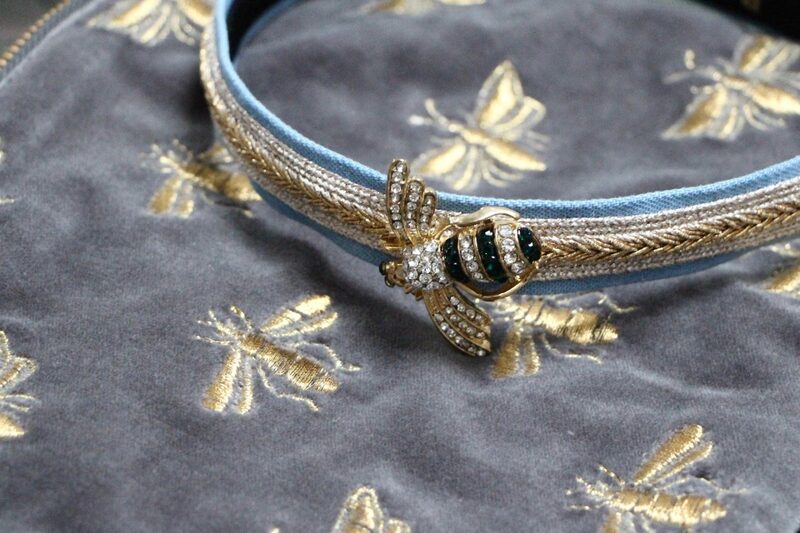 Well the bejewelled bee band is one of those things. Let’s ignore the fact I have to take it off every hour, for a two hour headband break, because (like all headbands) it digs in and makes my skull ache. And there’s another bee item in my favourites – one that is possibly more sensible, more universally relevant. 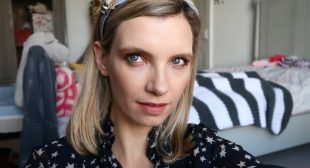 It’s a cosmetics bag from cool, luxurious but surprisingly affordable brand Elizabeth Scarlett – I now have bags from her in a palm tree design, a pineapple version and the Monstera leaf as well as my new embroidered bees. This was supposed to be a present for someone (as was the pineapple bag, which I have in two different colourways!) but I couldn’t bear to part with it because…bees. 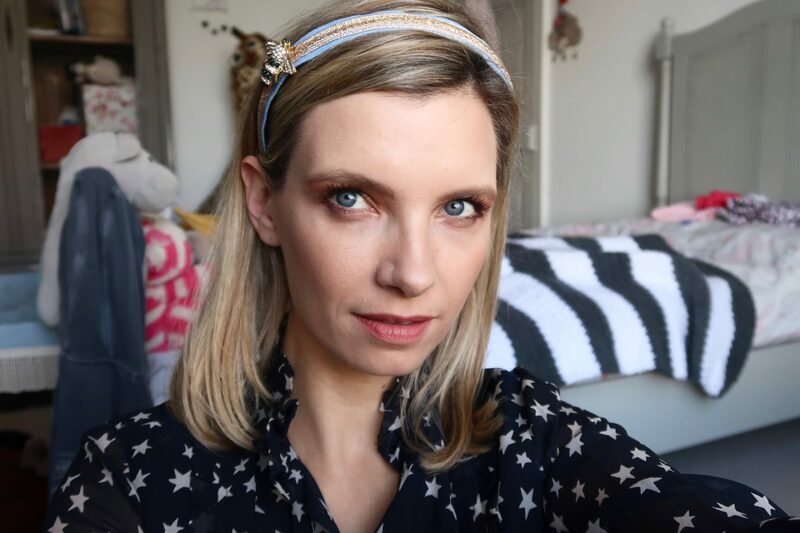 I also couldn’t put together a favourites video without including one of the brilliant L’Oreal x Isabel Marant lipsticks – the one I’ve featured is called Bastille Whistle and is a gingery sort of beige, reasonably neutral and safe (which is obviously why I’m drawn to it, ha!) but the rest of the collection is very striking. A gorgeous bright, orangey red, a classic red (Palais Royal Field) and some great deep shades like the rich brown Belleville Rodeo and autumnal La Butte Marshall. Right, on with the show. 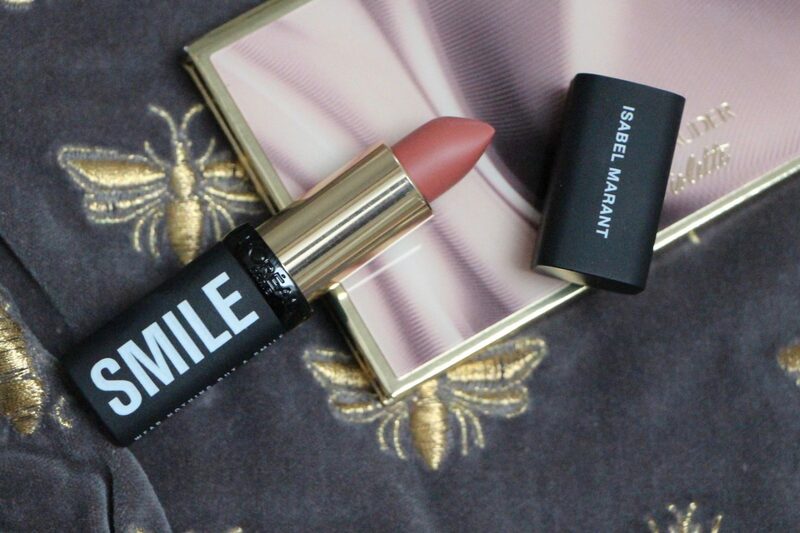 A spectacularly good pair of high street boots, the smart investment dress with a rock and roll vibe, a face cream that will satisfy the driest of skins and the world’s biggest scarf. Enjoy – links are, as always, below the video pane. Foundation I’m wearing here is the new L’Oreal Fresh Glow. Verdict still out, but I think I prefer Pro Glow still!! The post Autumn Favourites (Luxury and High Street) appeared first on A Model Recommends. Autumn Favourites (Luxury and High Street) was first posted on November 5, 2018 at 10:05 pm.